With my Whitetooth currently down, it's a good time to fetch out some projects I've not written up and what better place to start. I would like to introduce you to the Vanilla Box laser cutter, it's a pretty big project I've been working on and it has been eluded to several times on this blog with new tube mounts and box designs. 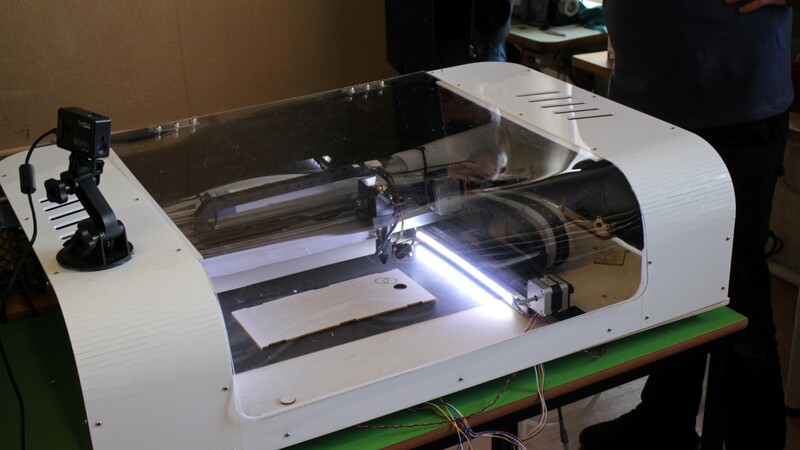 A whole team of people came together over Easter weekend to build the first working concept of a new laser cutter that Just Add Sharks would like to manufacture. 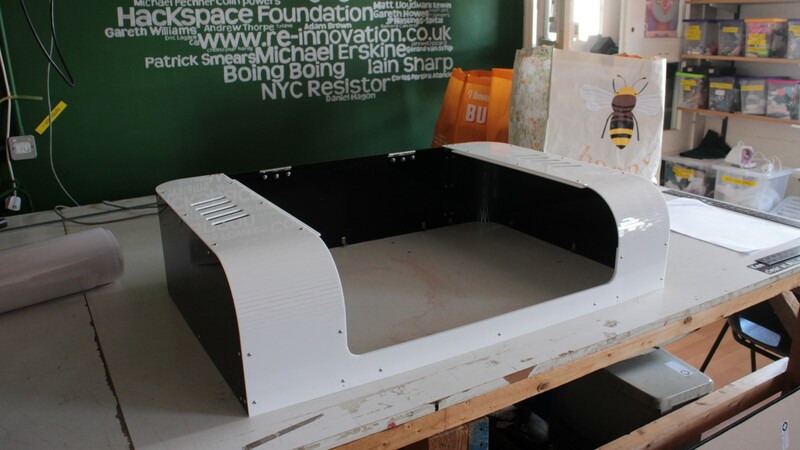 The intention is to build a no compromise laser cutter with all the essential parts but none of the costly frills and we would love to hit the £1000 sweet spot. So if this is something that would interest you, why not sign up to our low volume mailing list to be kept ahead of the developments, or come and see it in person at the. Maker Faire UK on the 23rd & 24th April at the Centre for Life in Newcastle-Upon-Tyne. 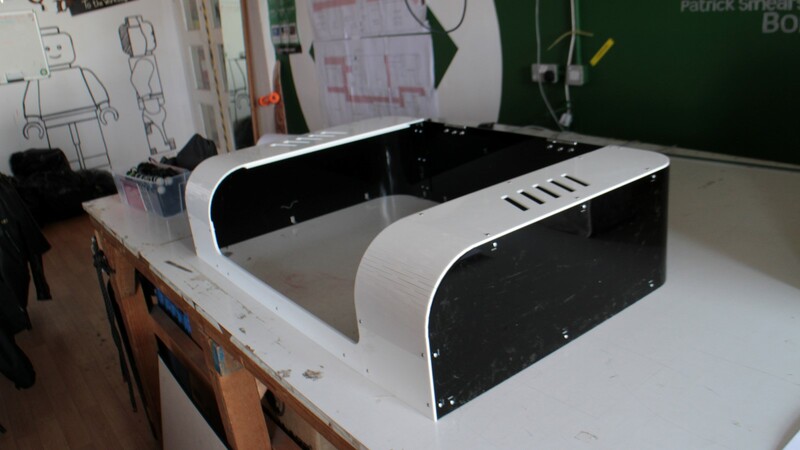 This case is obviously laser cut from 3mm acrylic and is somewhat unsuitable for a final product but the laser cutter allowed us to rapidly develop a case to enclose the dangerous laser beams in a very short timescale. The design of the box varied on the day, once we had an actual designer in the mix instead of me throwing together prototypes, the rear curves make it look quite fancy. This is exactly the kind of plastic case that you need the Arachnid Labs angled brackets for.